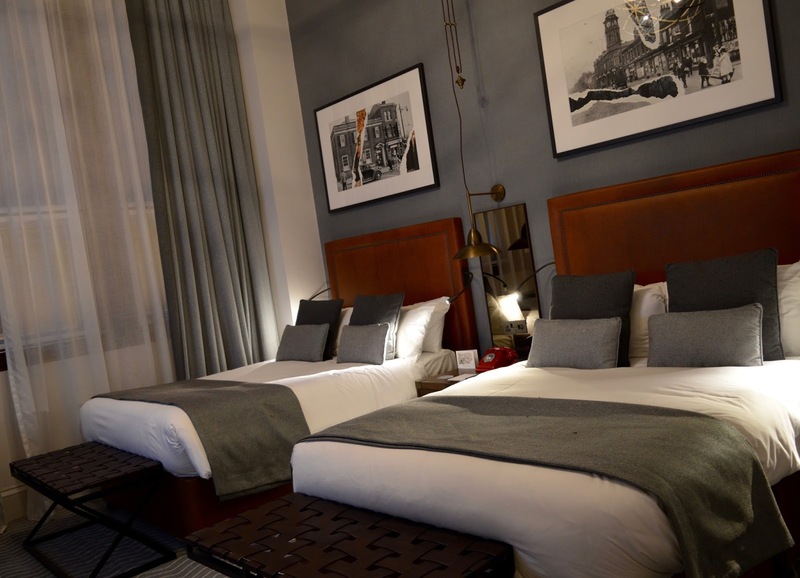 During our recent trip to Manchester, we decided to book a last minute overnight stay at The Principal Hotel. I'd read good things over on Steph's blog here and as Jack wasn't joining us for this trip and we were travelling as a family of 4, I wanted to make the most of our trip and book into a hotel which is something we don't often get to do as so many hotels don't offer rooms that are suitable for families of 5 at a reasonable cost. 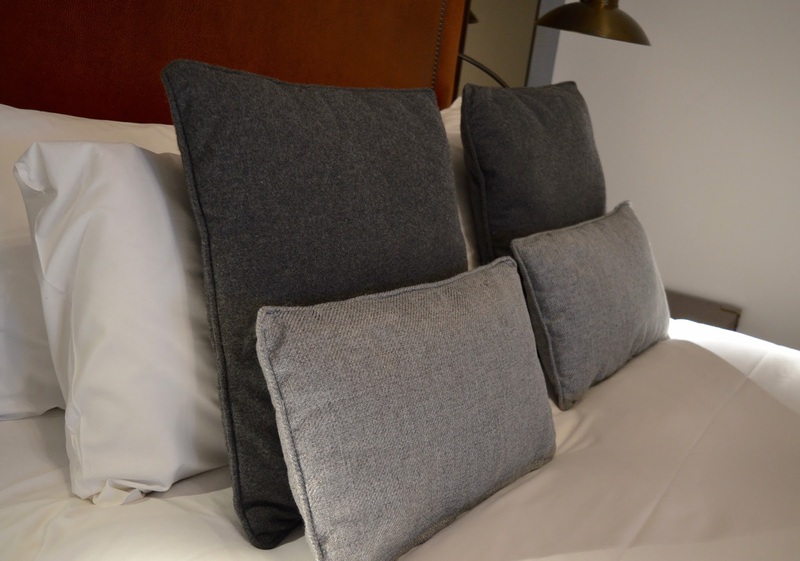 The Principal Hotel is located just across the road from Oxford Road Train Station. Our train from Newcastle actually stopped at this station which is super convenient. We decided to get off the train at Picadilly on this occasion though (quicker for getting to Legoland) and there is a FREE Metro Shuttle bus which transfers passengers between stations (we used Green route 2). You don't need to pre-book these shuttles, simply hop on and off. 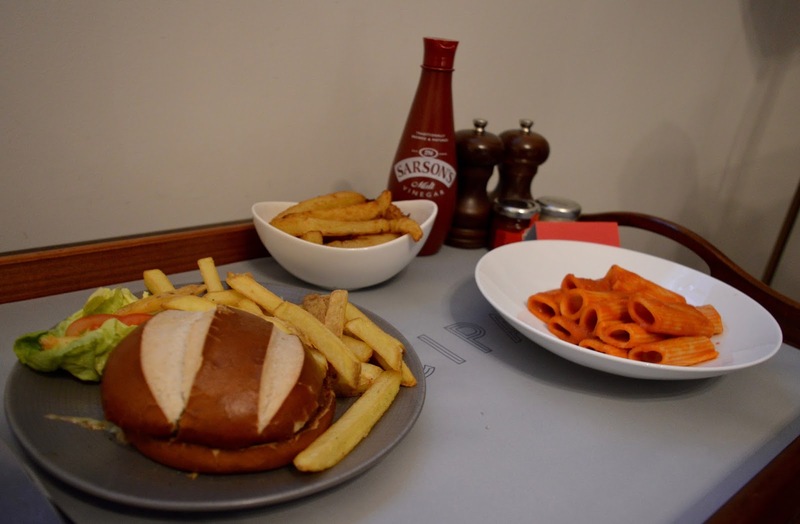 The location of the hotel is perfect for families - there's an Archie's Shake and Waffles shop across the road from the hotel and Dog Bowl is just around the corner which is a tex-mex restaurant and trendy bowling alley allowing kids on-site until 7pm. We walked to the Museum of Science and Industry from the hotel and it was a quick and easy route which was well-signposted and took around 15 minutes on foot with kids. Not bad. Refuge by Volta is one of the best hotel bars I've seen in a while! 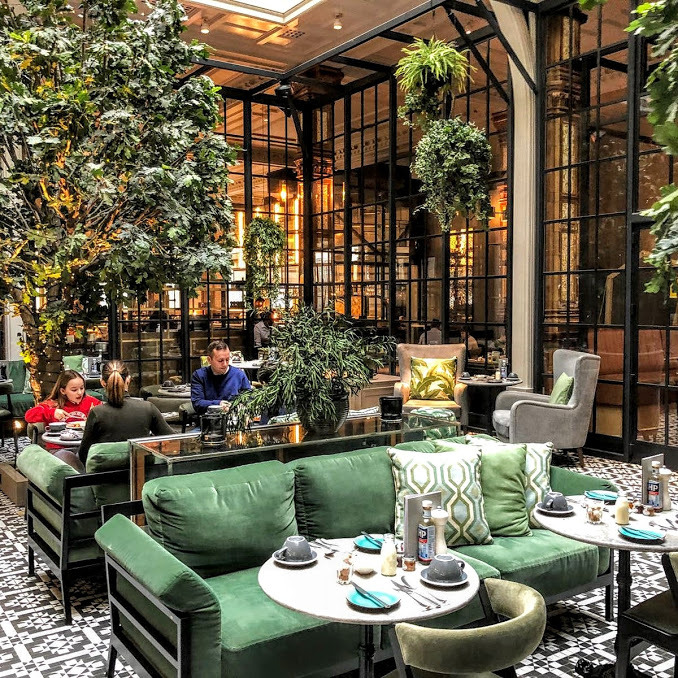 It is super stylish with amazing food, fantastic cocktails AND a there was a live DJ playing funk and soul classics on Saturday night. Kids are welcome until 9pm and there's a little sidebar joined onto the Winter Garden room with table football and a pool table which will keep them entertained. Our bedroom was overlooking the bar's beautiful outdoor courtyard and we could hear the live DJ from our room a little. The noise stopped at 11pm on Saturday so it wasn't exactly too bad (we were all still awake watching a movie anyway) and I expected a bit of noise staying in a city centre but if you have younger kids who need silence in order to sleep, it might be worth asking for a quieter room in the hotel which I am sure can be arranged. We booked a standard guest room and were kindly upgraded to a deluxe room. 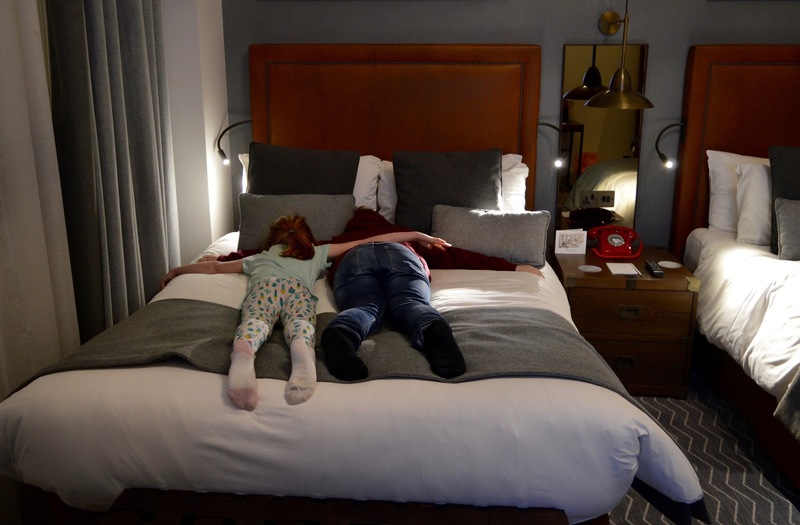 The reason given on check-in was because they realised we'd travelled quite a distance and had two children with us so thought we'd appreciate the extra space which was a nice touch. Most rooms sleep up to 4 adults and we had more than enough space. We really appreciated lots of nice touches such as a large smart TV which we used to snuggle up and watch a movie together on Saturday night, Elemis toiletries which I'm sure most teens will appreciate, free WiFi which required no password and was super easy to connect and you are given access to over 100 complimentary online magazines and newspapers in your room which I think is a fab idea and would love to see more hotels offering this service. 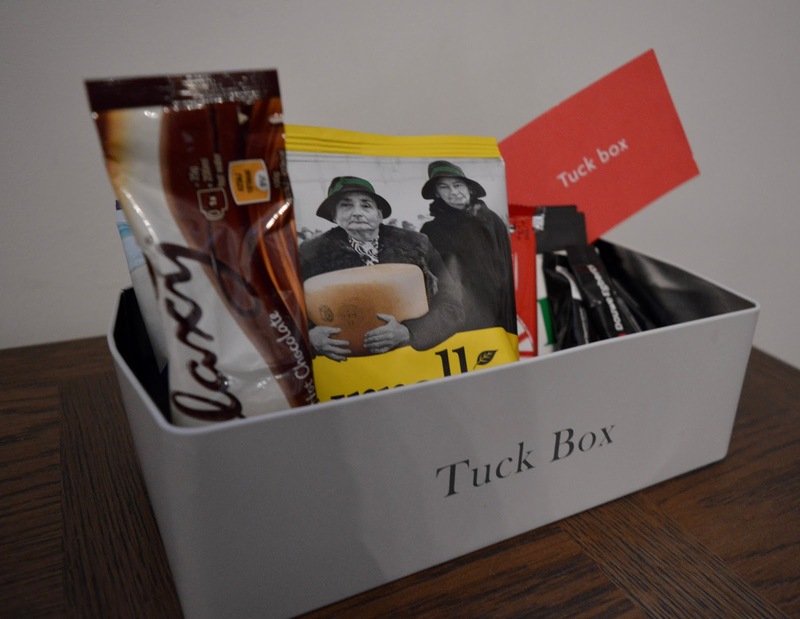 All rooms are provided with a complimentary in-room tuck box filled with treats such as Tyrells crisps, chocolate biscuits and even drumstick lollipops. Ours didn't last two minutes and Harry and Heidi loved these extra treats. There's also a 'corner shop' in the hotel lobby selling lots of treats for kids and grown-ups alike. 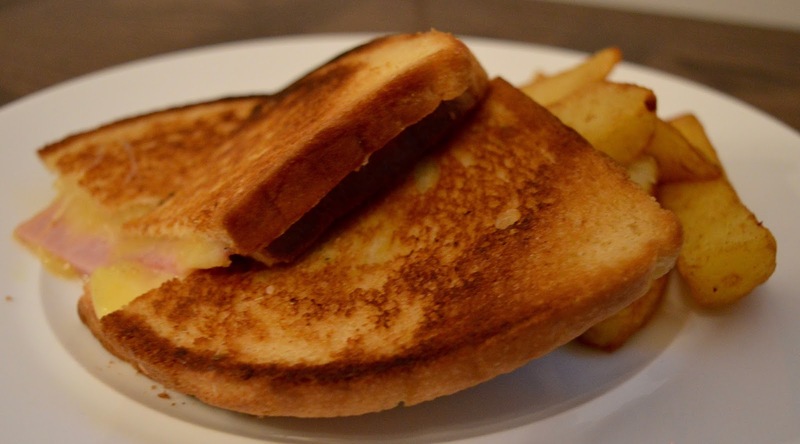 Who doesn't love a hotel breakfast? We were really impressed with The Principal Manchester's offering. We were seated in the Winter Garden room which is such a beautiful setting and really helped our day to get off to the best start. Harry and Heidi were over the moon when they were offered a big mug of hot chocolate as us grown-ups were provided with coffee. Perfect for a chilly winter's morning and it really made them feel included. The hotel breakfast is buffet-service and there was lots to choose from including cooked items, pastries, cereals and fruits/yoghurts. 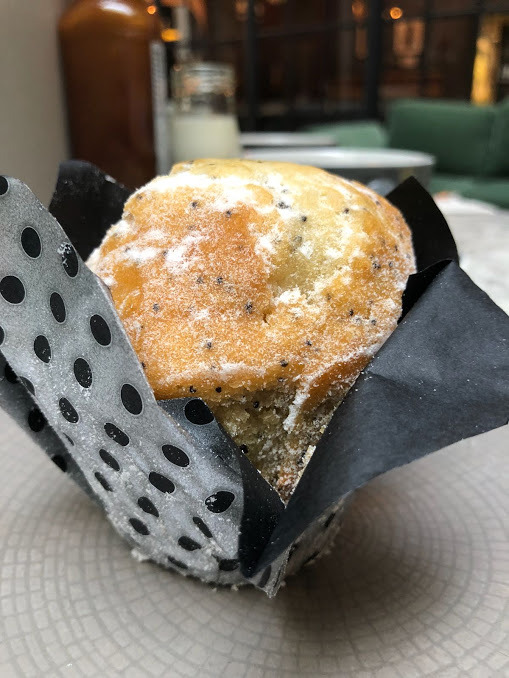 Everything was of very good quality and I especially recommend the Lemon and Poppyseed muffins. 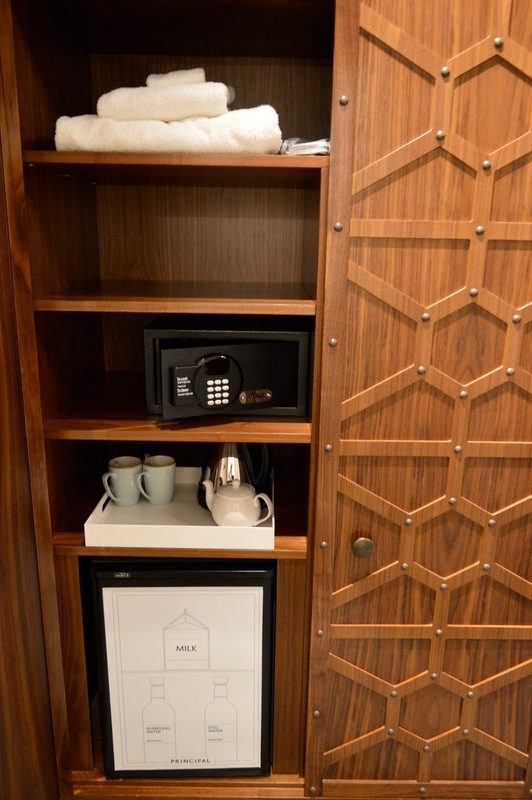 Our bedroom was practical as well as stylish and we really appreciated an in-room fridge which was perfect for keeping the kids' drinks cool (and storing our beer!). 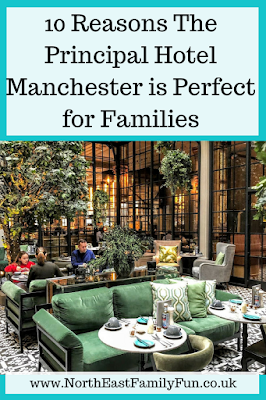 The Principal Hotel Manchester offers lots of fantastic deals for families and we were able to take advantage of a kids eat and stay for free deal which really kept the cost down. 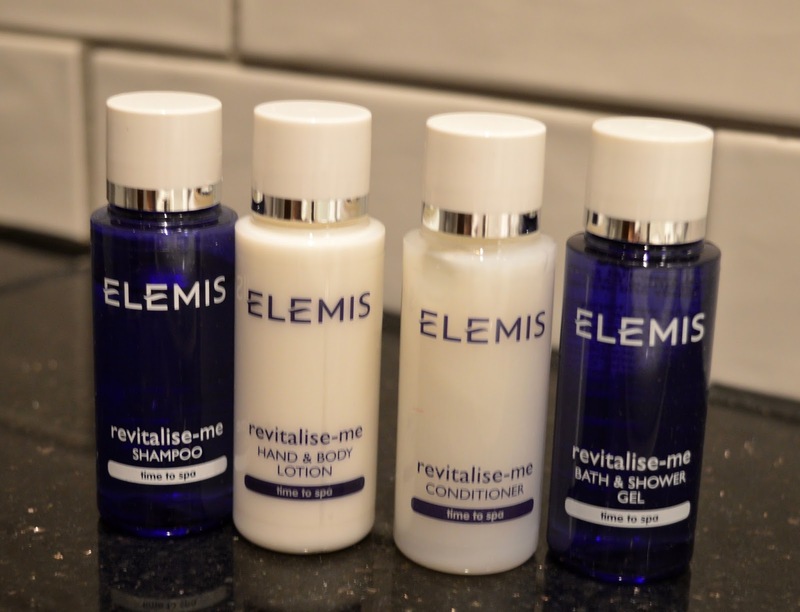 They also offer a fantastic 'Applause' loyalty programme which is free to sign up and includes lots of fantastic perks such as 10% off your stay when you book direct, £5 to spend in the bar, restaurant or room service every time you stay, late check out and speedy check-in and check-out. These are all well thought out perks that are actually really useful and definitely enhance your stay and encourage you to book direct again. Children aged under 11 are supposed to receive a Percy the Fox cuddly toy, Hetty the bath frog, YoYo bear snack and a fluffy bathrobe (to borrow) now I'm not sure if this was down to the fact that we were upgraded at the last minute or whatever but we weren't provided with these on our visit. I am sure if I'd phoned reception they would have obliged but I'm the type of person who never likes to make a fuss. Heidi would have been over the moon with a fox cuddly toy (she is cuddly toy obsessed) and I'm sure this is just an oversight and she'll receive one on our next visit. 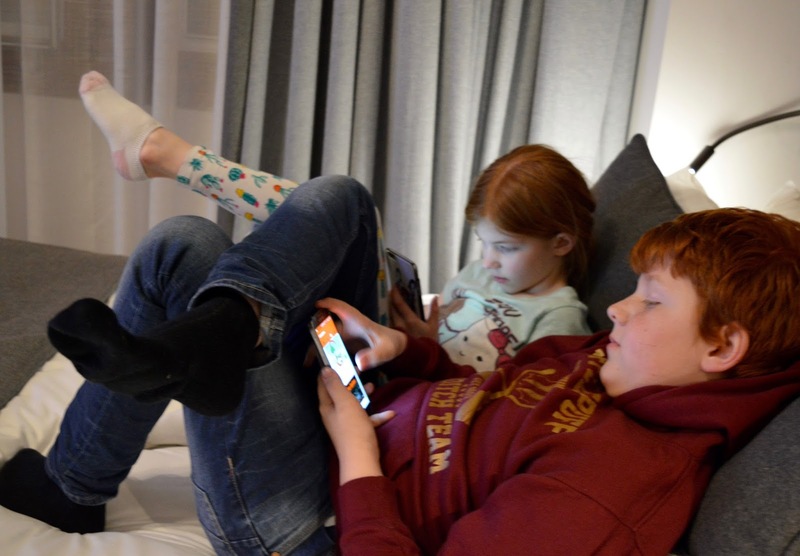 Teens aged 12-15 are welcomed with their own retro sweet box and can of pop and babies will receive a cot on request, baby bath products plus complimentary warm milk via room service. We tried to book into the hotel's Refuge by Volta restaurant but unfortunately, it was fully booked. If you'd like to dine here, I'd highly recommend booking in advance. We were super tired after exploring Manchester and it was -2 degrees and snowing outside so we weren't keen on venturing out. There are lots of restaurants in the vicinity but we decided to order room service and watch Saturday Night Takeaway and a movie in our room instead. Room service was very reasonable and catered well for families - Harry ordered a child's burger and chips followed by Churros, Heidi ordered a child's portion of tomato pasta and churros, Steve went for Lamb Shwarma with an extra portion of chips and I ordered a cheese and ham toastie which was served with chips. All of this was delivered to our room within 30 minutes of ordering and was all super tasty. It only set us back £32 including our £5 Applause member discount which we thought was a steal. The food was all delicious and we all cleared our plates. 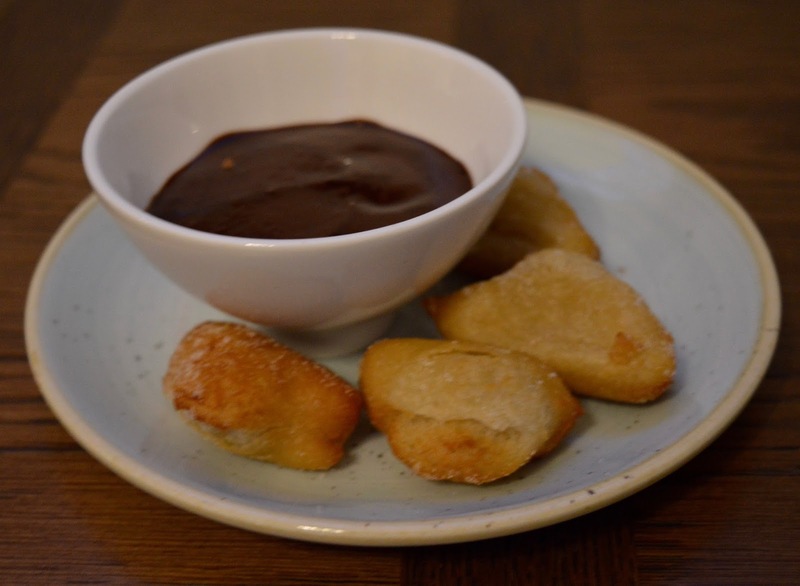 I loved that the staff brought the kids' churros to our room around 20 minutes after our mains had been delivered so they were still nice and hot - a lovely touch. 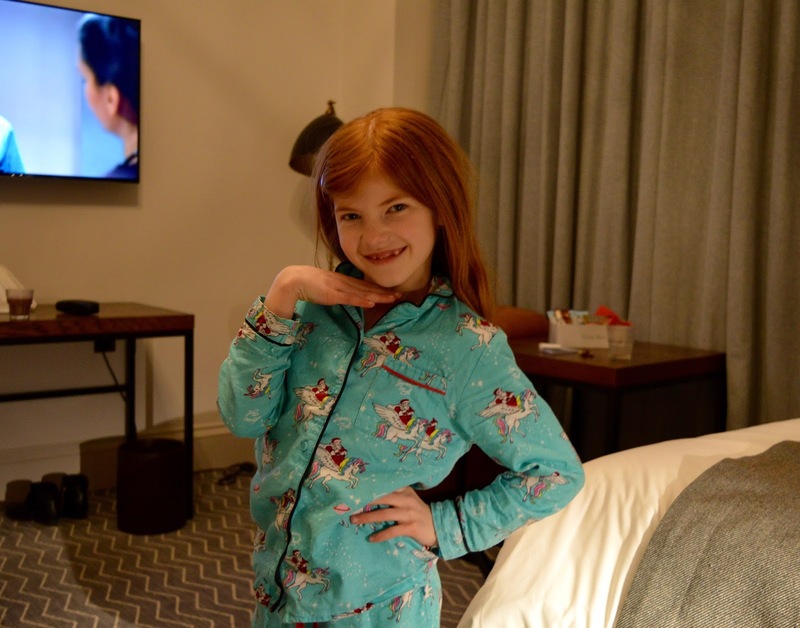 During check out, guests are offered a complimentary homemade cookie which really put a smile of Harry and Heidi's face and left us with a positive lasting impression of the hotel. I have well and truly been converted to The Principal Hotel brand. 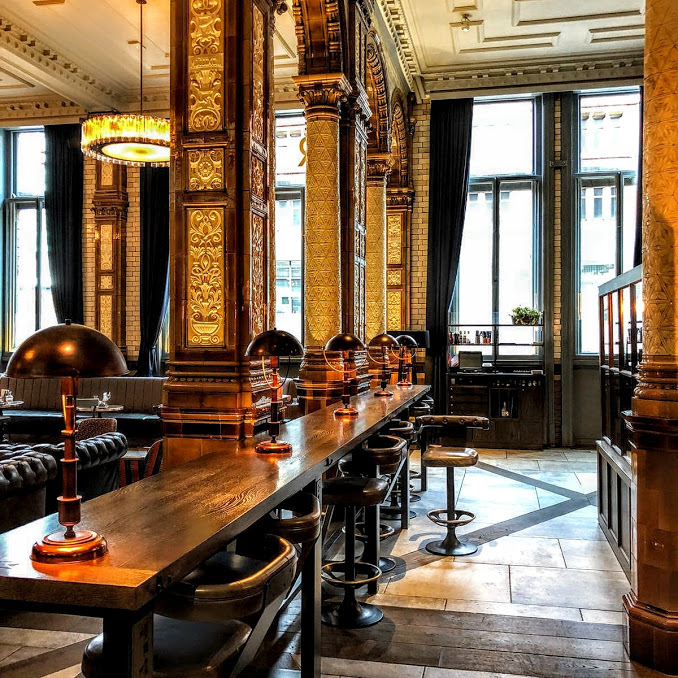 After posting a few pics across Social Media a few people have been in touch and highly recommended their hotels in Edinburgh and York so I'd definitely like to check these out at some point in the future too. 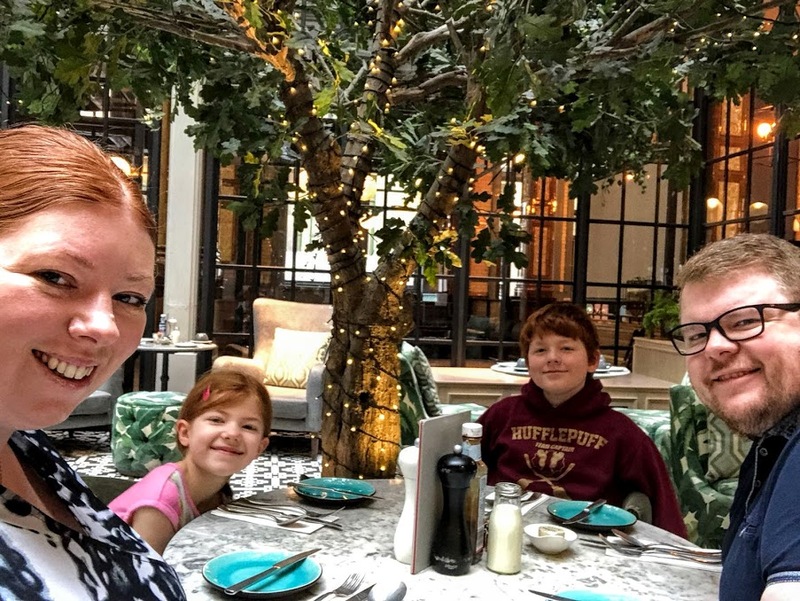 The hotel is super stylish yet warm and welcoming too and all of the staff we encountered really went that extra mile to make sure our stay was a positive one and really included Harry and Heidi too. 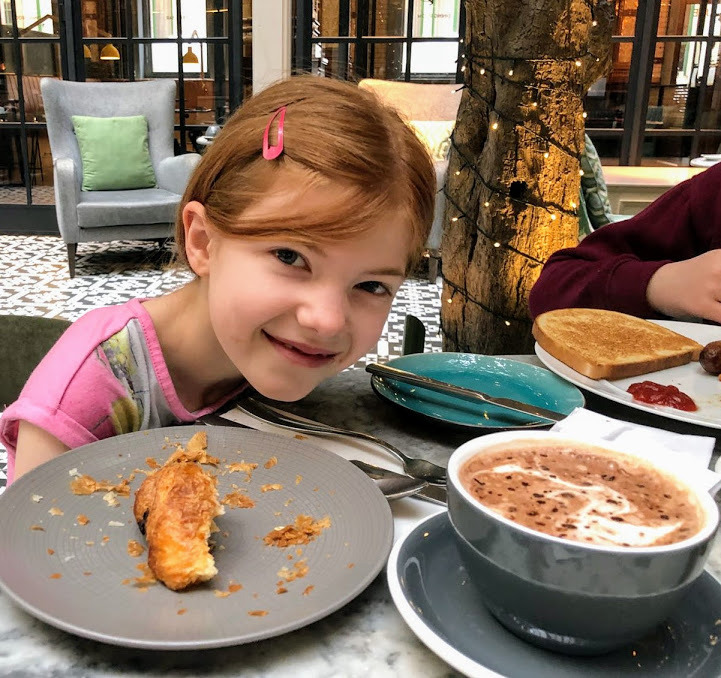 I've had a quick look again at hotel rates and some dates are definitely more expensive than others but I say if you can find a good deal like we did, you should 100% book a stay with your children and you won't be disappointed. Looking for a cheaper hotel? 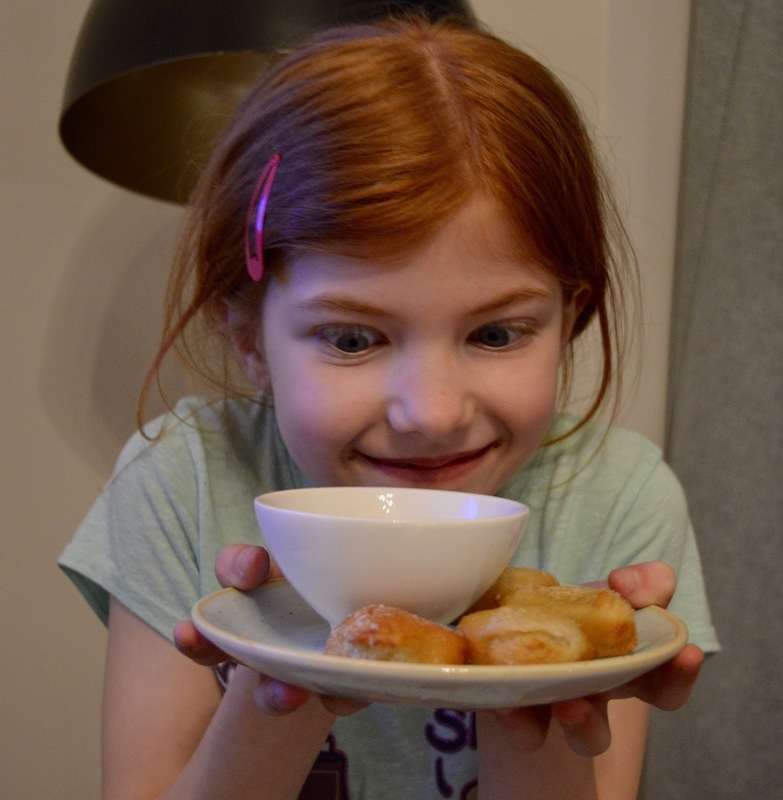 We've stayed at Premier Inn Picadilly (affiliate link) three or four times now and love it. It's right next door to Picadilly Train Station so super convenient if you're travelling by train. 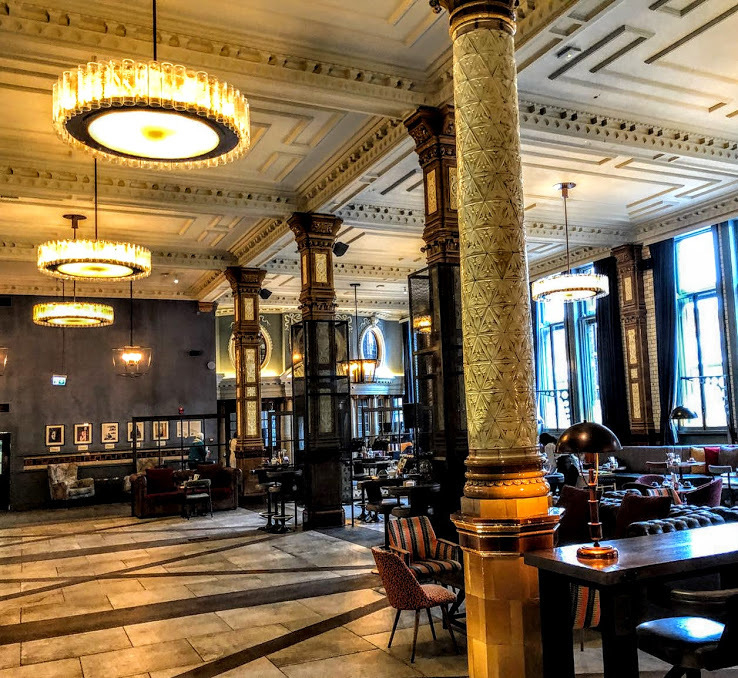 Find out more about The Principal Hotel Manchester here. Disclosure: We paid for our own stay. I am linking up with Mummy Travels and Wander Mum's City Tripping - check it out here. I popped into The Principal in Edinburgh and it was very pleasant. 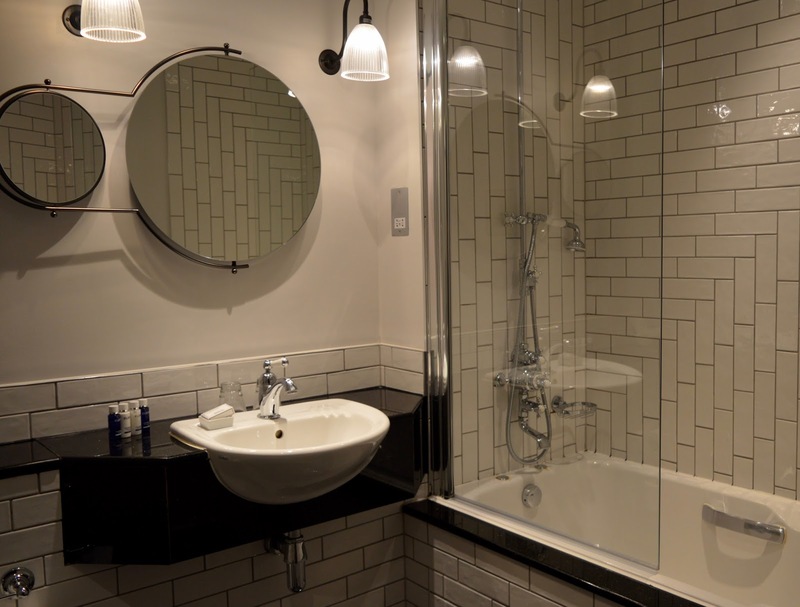 Looks like the Manchester property is lovely too. Can I ask who you booked through - a family room is coming up at £356 which is a marked difference to what you paid? Just wondering if there is a cheeky code I can usr?